There’s a great irony in Britain voting for Brexit largely based on concerns and fears over immigration. Through its long history, Britain has been a nation of emigrants, spreading to all corners of the globe. 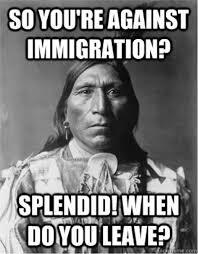 They may have called it colonizing or settling prior to the 20th century, but it was done in search of a better place, a better life, not so different from today’s immigrants. In the early 1800s, thousands came from Britain to Canada, many of them Irish escaping the great potato famine. 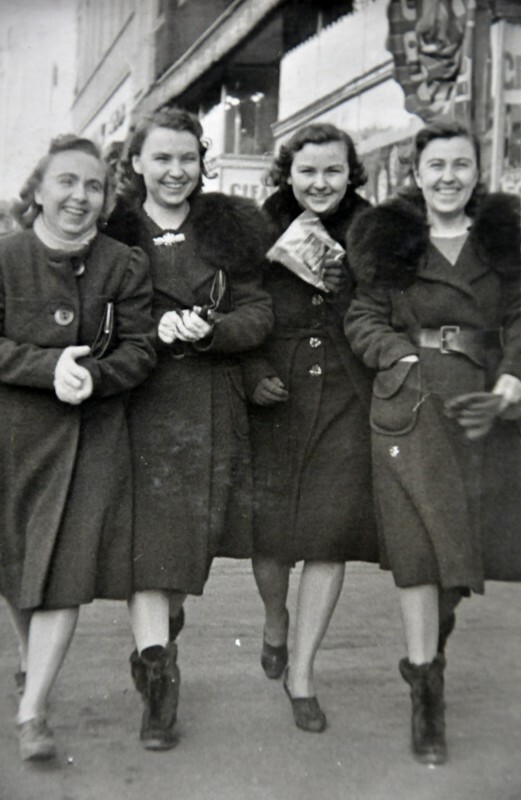 The Irish were Canada’s first large wave of foreign immigrants and, although they generally spoke English, they did not mirror the social, cultural or religious values of the majority, often making them the target of prejudice. I wonder how many people today consider those early Irish immigrants or their descendants a threat to our way of life. On the other hand, how many recognize the contributions they made to our social, cultural, and religious values. Show of hands. 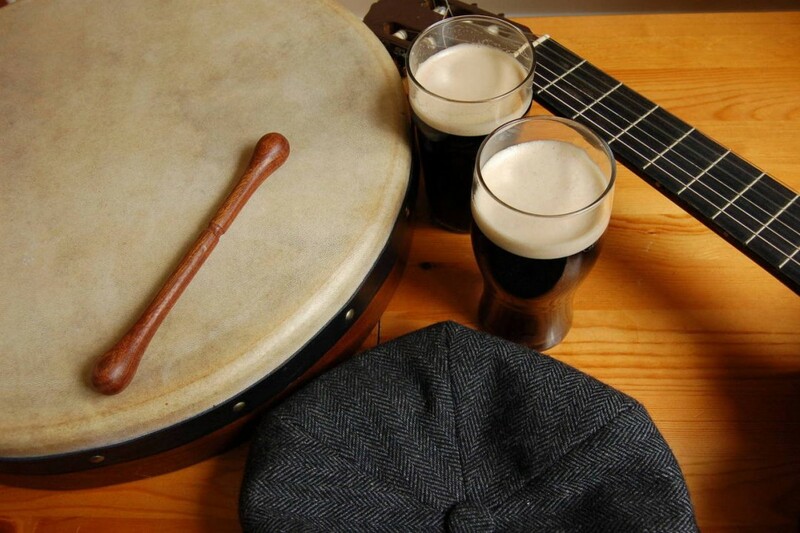 Who’s been to an Irish pub or enjoyed Irish music? The backlash against Syrian and eastern European refugees seems a current-day version of an old and oft-told story, a story of fearing people from elsewhere, people with different social, cultural, and religious backgrounds, people seeking a better place, a better life, for themselves and their families. I`m third generation Canadian, three out of four of my grandparents having immigrated from Europe in the early part of the 20th century. For the purposes of this post, I`ll focus on my mother`s father, Carl Radke, and to tell his story, I have to go back to 18th century Russia. From 1763-1767, Catherine the Great opened the doors and encouraged immigration of German citizens to Russia, mostly to capitalize on advanced German agriculture methods. They were promised freedom of religion and exemption from military service for themselves and their descendants. They saw opportunity, so they came, they settled, they farmed. Carl Radke was born 120 years later, in 1886, a German-speaking descendant of these early immigrants. In the latter part of the 19th century, the Russian government required more conscripts for their army and, therefore, revoked the original exemption. This was of particular concern to the German Mennonites who were pacifists and opposed to military service. Many of these Mennonites emigrated to the Americas for this reason. Carl Radke wasn`t a Mennonite, but his close friend was, and Carl`s two brothers had already been conscripted. 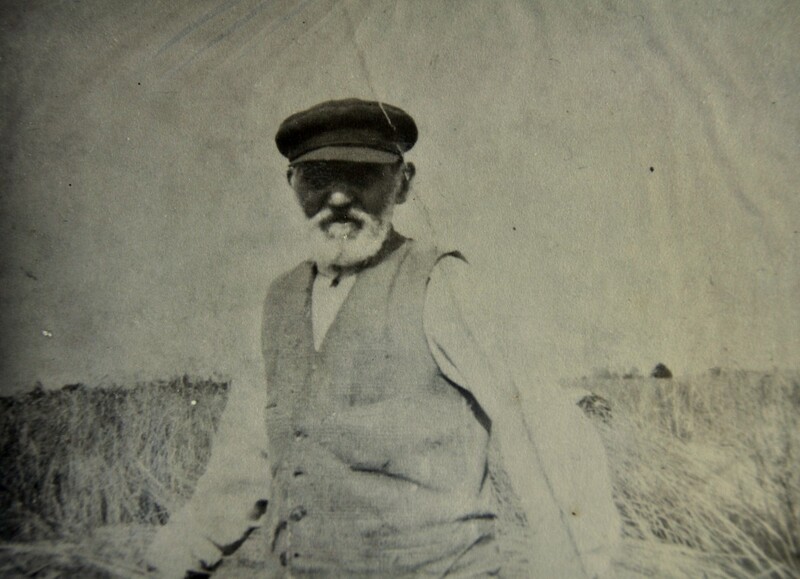 In 1911, to avoid conscription into the Russian army, he left his wife and baby daughter behind, travelled with his Mennonite friend to Canada, and settled in Steinbach, Manitoba. Emilie and baby Adele (my eldest aunt) sailed across the Atlantic one year later. 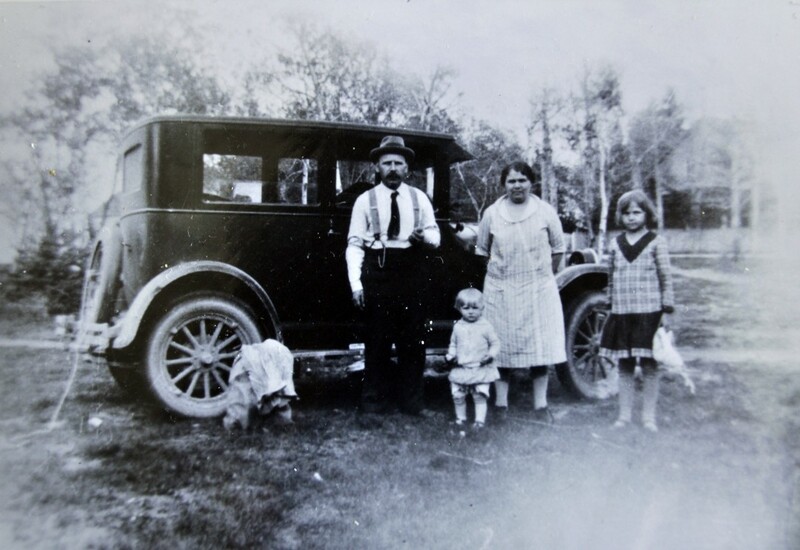 Despite what must have been a somewhat hostile environment, Carl Radke continued to build a life in Canada, raising a family of five daughters, and moving them west to Alberta in 1931. 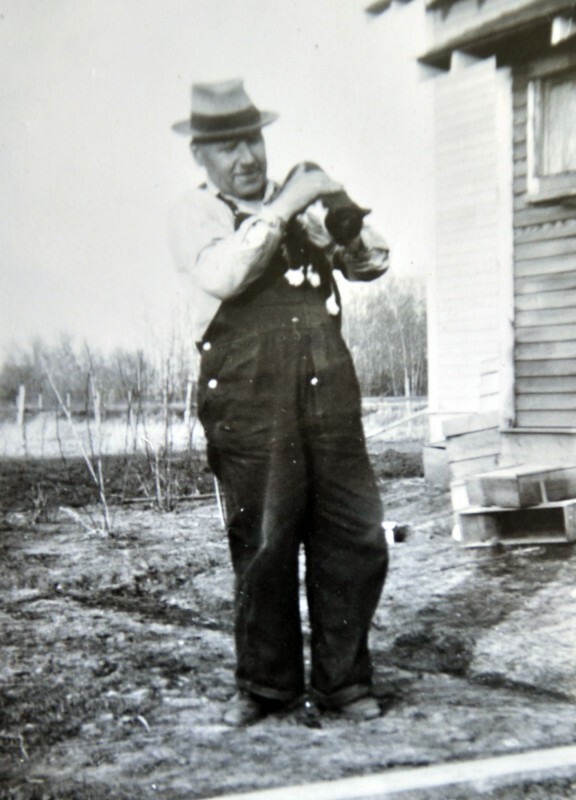 They settled in a small community close to Edmonton, Carl opened a shoe and harness shop, Emilie sewed clothes for many of the neighbours, they attended the Lutheran Church on Sundays. In 1939, Germany was again at war. 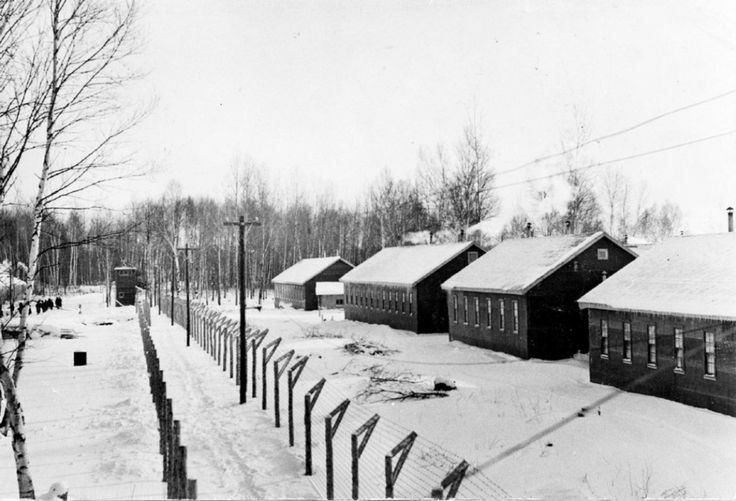 In 1941, suspected of being “potential traitors” members of the German community that Carl had left behind in Russia were deported to Siberia from what had been their home for more than 100 years. Around the wood stove in Carl’s shop in Hay Lakes, Alberta, the conversation often turned to the war, to Hitler, and to stories from “the homeland”. Despite the facts that Carl wasn’t actually from Germany, had been in Canada for twenty years, had become a Canadian citizen in 1914, had five Canadian daughters, and was opposed to the politics and practices of the German leaders, in 1940 Carl was imprisoned for “working against the government” and referred to as an “enemy alien”. Carl was not a Nazi or in any other way a threat to Canada or Canadians. He just spoke the wrong language in a time and place where people were afraid. His grown daughters were unable to find domestic work during this same period because they had a German surname. They were simply guilty by association, not so different from what’s happening today. Although Carl was released and returned to his family less than a year later, he was forever marked by what felt like a betrayal by his new home, the country he had adopted as his own of which he strived to be a valuable part. Germans are no longer considered a threat to our way of life, just as the Irish, the English, the Polish, the Ukrainians, the Chinese, the Japanese– I could go on and on–waves of immigrants were not, and instead added diversity, colour, and value to our culture. So, if we’re opposed to immigration, just where do we draw the line? 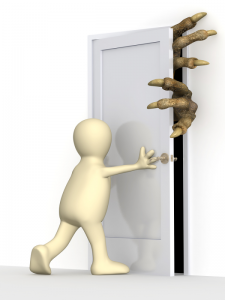 Who is the last one in and when should the door be closed? This meme that was floating around a few months ago made me laugh and sums it up nicely. Bravo! A wonderful example of immigrant stories. “He just spoke the wrong language in a time and place where people were afraid.” Fear so easily turns into mass hysteria which diminishes us all. Preventing this starts with each of us individually, and is crucial in these times of tremendous change. We must each find our own centre, the part of us that knows better, the part that includes others so that together we can make the world a better place. I just watched this brief video, published on May 24, 2016. It speaks to the topic of this blog. Amnesty Poland organized a special experiment in Berlin, in which refugees and European citizens looked at each other for four minutes. The reactions were striking. Wonderful video. Thank you for sharing.